I am so lucky to work with such a talented group of people. One of the gals is Holly Hickman. Her brain is amazing. You may have seen her quilt in a recent Quilts and More Spring 2014 publication. 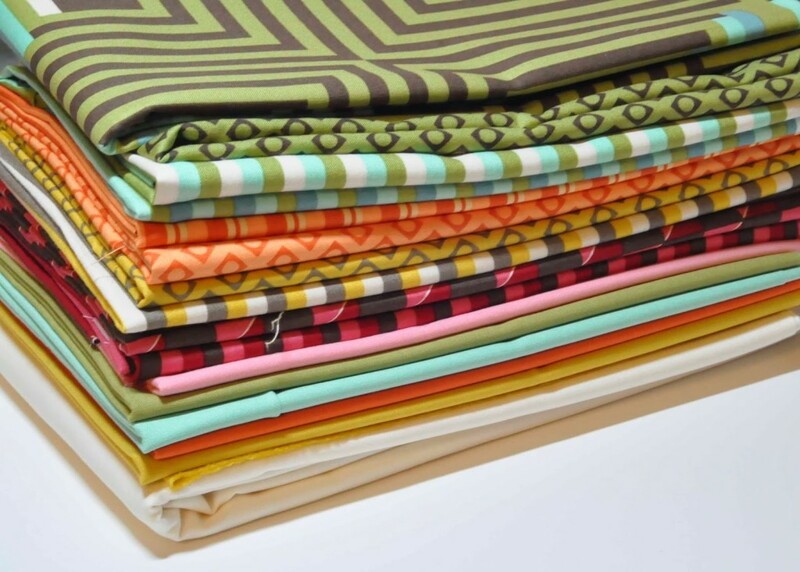 I knew when she made that quilt that I would want to make it once the magazine came out so I hoarded the fabrics. to jump right on this project. My husband is 5/128 Chickasaw Indian which makes the kids 5/256. I think this is the reason for their newly found attraction to Indian items. I was surprised when my eldest son, Grant loved this quilt so I am sure it will find a place in his home. I made the quilt extra long because I really wanted to use the pre- printed log cabin fabric. “throws” that are big enough to actually get cozy under? My version of Holly’s quilt is quilted a little different and I added a little bit more border fabric. I can’t wait to throw it in the wash and deliver it to #1 son. it really is kind of unique, have not seen this pattern before – I too love long quilts – gotta cover the toes! 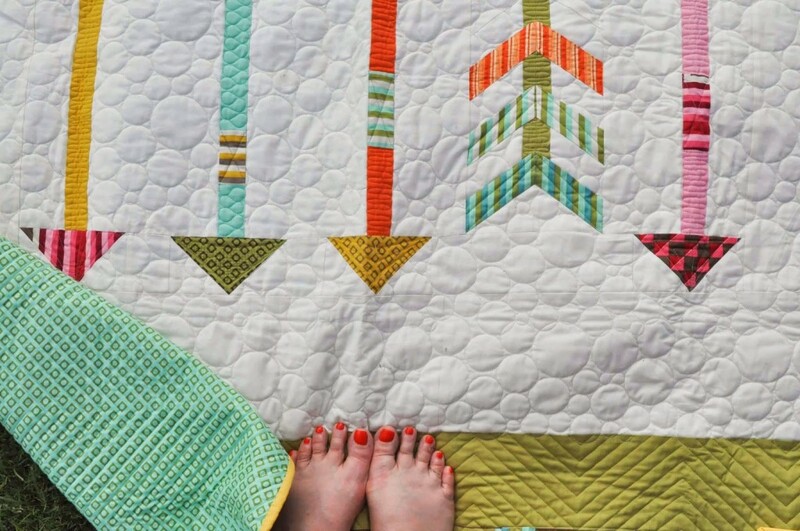 Long quilts and chunky toes! It's gorgeous! Love the log cabin fabric, too! Holly did such a great job designing the project and it was a ton of fun to make. And big enough to snuggle with the kiddos! Beautiful quilt! Love the arrows! 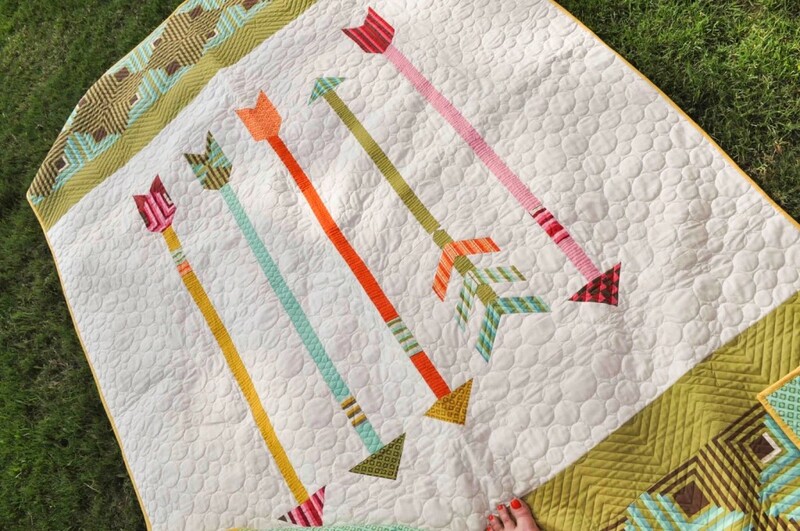 looks like such a fun quilt to make! Love this quilt!! Holly is wonder woman! Super cool! 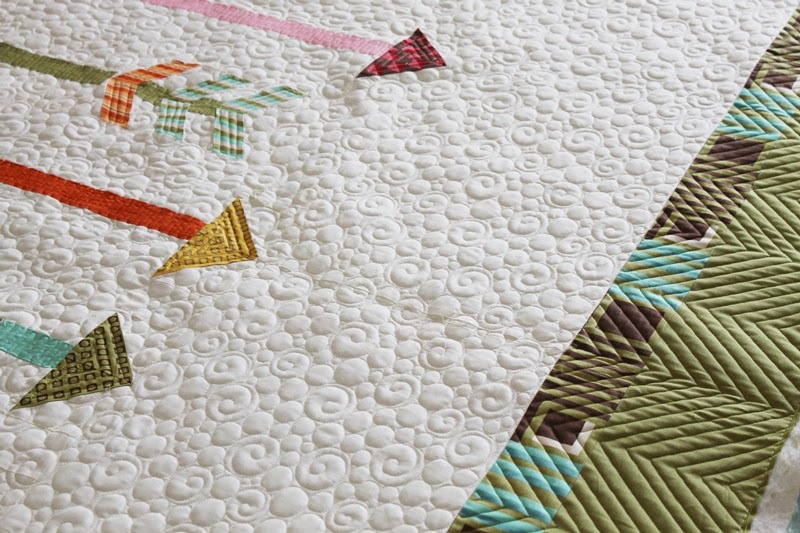 I adore the quilting you've done on it as well – it's impeccable! Hey Lissa, Love the quilt!! I am 1/16th Chickasaw from my mother…. maybe we are related and don't know it! Lucky Grant to get such a nice quilt! And I too love this pattern. Great quilt! Where do Chicksaw people originate from? In Australia Indigenous people are not in favour as identifying themselves by fractions. They believe people either identify as Aboriginal or do not. Of course, you cannot claim to be Aboriginal if you have no blood links to the people, just to clarify that! Love the quilt and love the quilting. What is the quilting pattern (the circles), ruler, panto or computerized.